Here are some nice views I enjoyed during the year. These shots are meant for clicking through to see at full size. 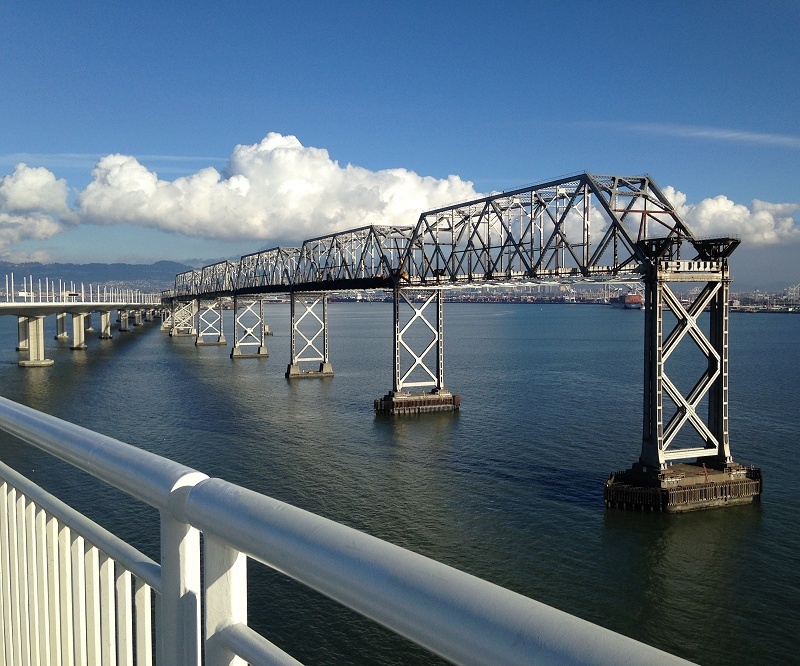 In January, I said goodbye to the old Bay Bridge and looked forward to the day when the new bridge offers a superb platform for viewing the Oakland skyline. 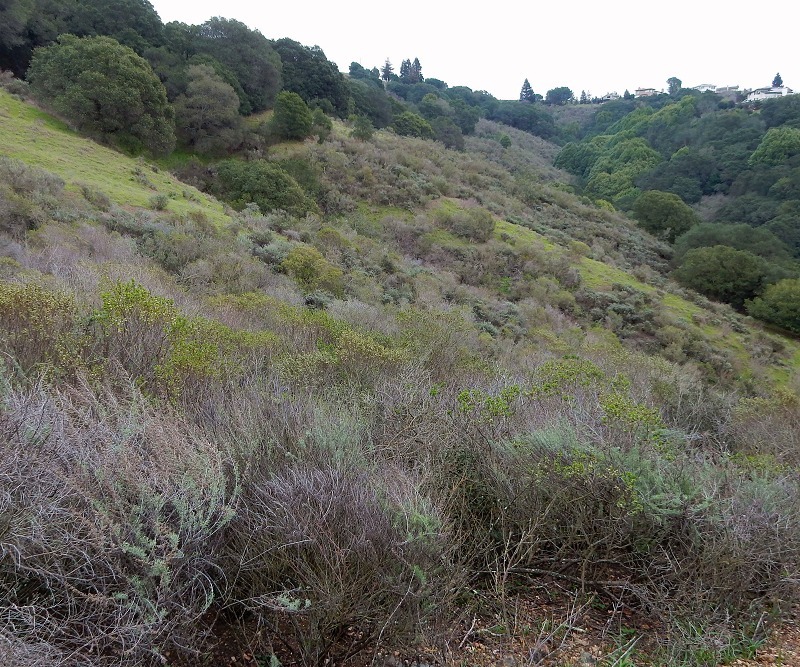 In February, I was captivated by the chaparral high on the face of the Leona Hills. 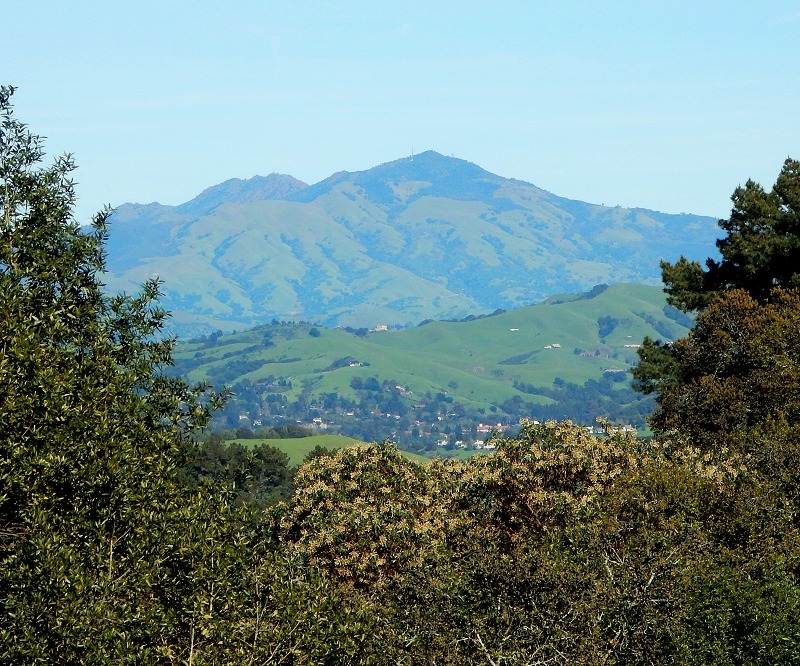 In March, I got a good look at Mount Diablo from Wilton Drive, on the edge of Redwood Regional Park. 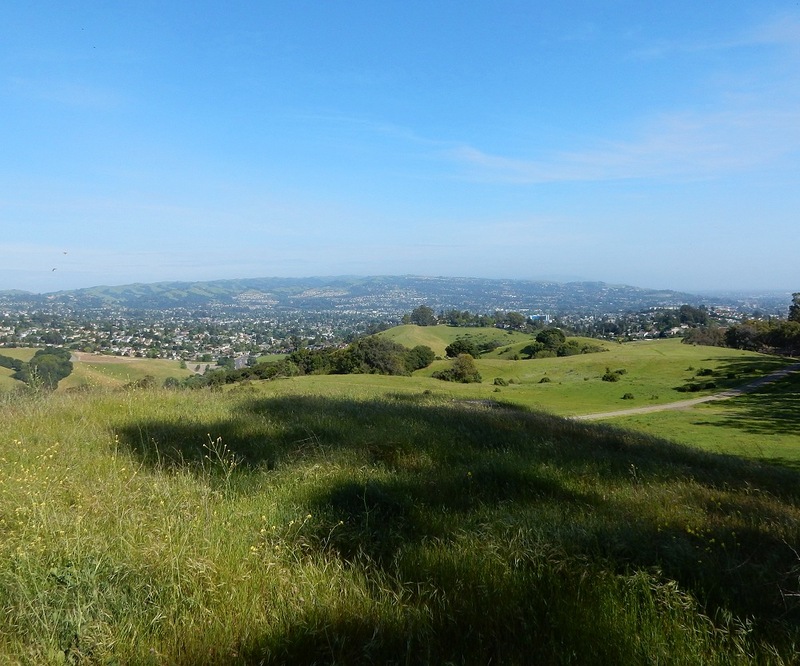 In April I was transfixed by the view south from Fairmont Ridge to the hills back of Hayward, an area I have yet to visit. I took great pleasure in tramping out my first three “geology rambles” this year. Not every photo was geologically relevant, but this moment from the July day when I first envisioned ramble 3 was too charming to forget. 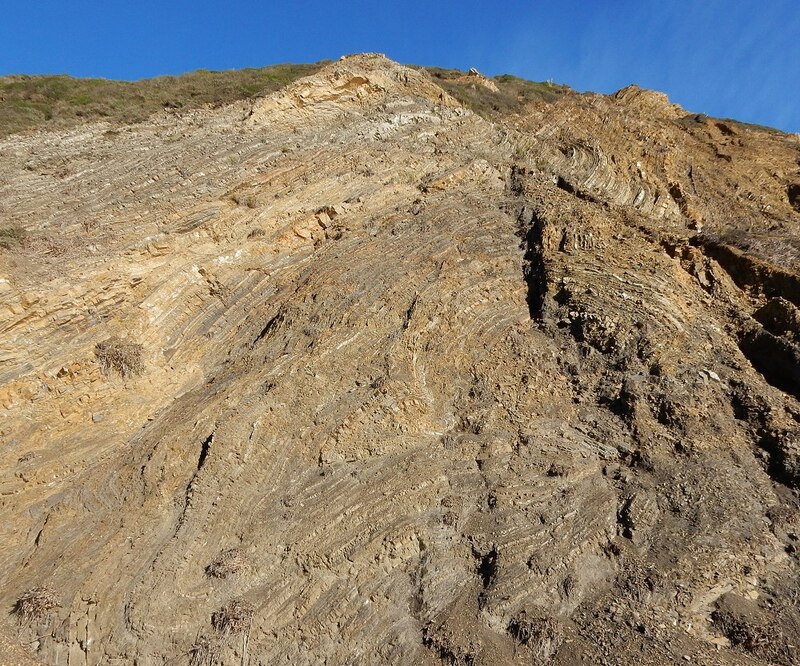 And several times this year, I’ve gone to Devil’s Slide to dispose of rocks by throwing them into the boiling sea. But the views in the other direction are stupendous. I have enjoyed the hell out of geologizing this year. This entry was posted on 26 December 2016 at 8:02 am and is filed under Oakland geology views. You can follow any responses to this entry through the RSS 2.0 feed. You can skip to the end and leave a response. Pinging is currently not allowed. Hi Andrew – Thanks for your enjoyable blog! 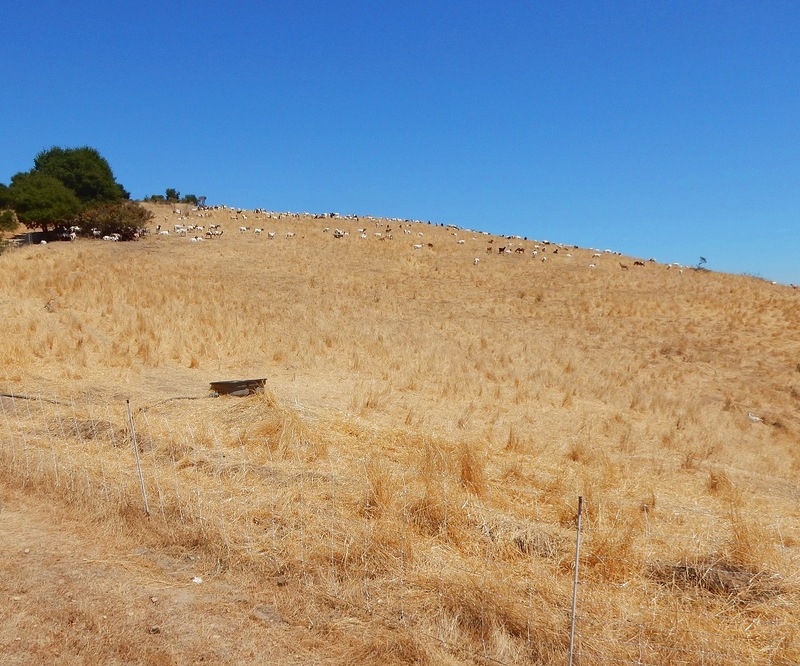 What was extracted in the various mines from Leona Heights north to Crestmont/Joaquin Miller? Looks like rhyolite at the huge Leona Quarry, hematite from the old Devil’s Punch Bowl, sulfur at the top of McDonnell Street and where the Crestmont subdivision stands now. Also there is/was a hematite shaft on the Holy Names Univeristy campus, near the entrance, right? Got any more info? Thank you so much! All I know about geology I learned from reading John McPhee and YOU! !